Reading books and novels is a very important part of CAT exam preparation. It not only helps you develop your reading speed to help you with the Verbal Ability and Reading Comprehension section of the CAT 2019 exam but it also helps you become better at the other areas of Verbal Ability like jumbled sentences and critical reasoning. A few days ago, I took a free class on ‘How to Start Preparation for CAT exam‘. In the class, I tried to answer a lot of queries from confused and often unnecessarily worried MBA aspirants. As a part of that class (the class recording is available here), I told students that in the beginning of their preparation – they need to focus on developing skills that will help them do well in the CAT 2019 exam. And one of these skills, perhaps the most important one, was to develop a reading habit. As an MBA aspirant, you need to spend at least 1 hour a day towards reading. 3. How to Read Better and Faster by Norman Lewis for increasing your reading speed. While all of the above are fantastic books, I personally do not find them much fruitful for most candidates. These often end up being too boring and something that students give up in the middle. 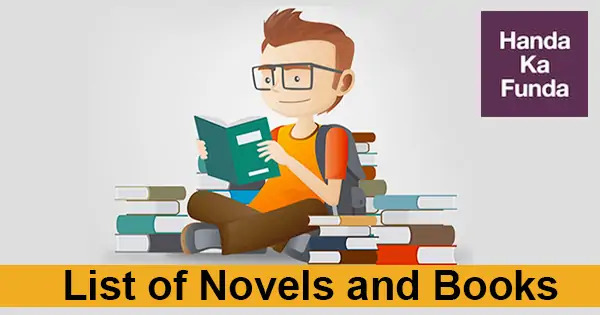 How to Read Better and Faster by Normal Lewis might be an exception as it is not voluminous but increasing their reading speed is hardly something that CAT / MBA aspirants should be worried about. You get more than enough time in the CAT exam these days (at least for the last 5 years). The key to high performance lies in understanding the questions and the passages and not rushing through them. Rushing through passages helps if the passages are really simple and you have direct questions on them – it is not the case when it comes to the CAT exam. So, the question then arises as to what should be done to actually improve in it? The answer is simple. You need to go back to the root of the problem. Most CAT aspirants have an issue with Verbal Ability / Reading Comprehension because they don’t really read books regularly. I have been teaching CAT aspirants for a decade now (Yay! – just realized that while typing this post. It will be 10 years in July 2016) and under extremely rare circumstances I have met someone who reads a book a month on average and is struggling with Verbal Ability. As a matter of fact, even if you read 5 books in a year, you should be more or less comfortable when it comes to Verbal Ability. You can and you should directly dive into CAT level problems and you would realize that you are still swimming around in your comfort zone. The problem, however, is for the majority of the CAT aspirants who don’t read regularly and / or the only books that they have read was written by Chetan Bhagat. I will not get into the merits or demerits of reading Bhagat as that would probably become a rather long rang. Be that as it may, if you are in the category of the majority CAT aspirants mentioned above – it is not too late. As a matter of fact, it is never too late. You can and should start reading books, novels, and magazines as soon as possible. Reading newspapers and editorials will also help but there are too many breaks when you read a newspaper and you need to keep shifting from one article to another. There is no ‘FLOW’ That is the reason I strongly recommend that MBA aspirants read as many books as they can during their preparation period. Not only it will help you improve your Verbal Ability, it would open up a whole new world for you. Once you are done with the above list, or may be even half of it, probably you should try out another list that is slightly harder. I am personally not a big fan of biographies / autobiographies but there are a few that you can give a try. I do what I do – Written by Raghuram Rajan, former Governor of RBI, it is a collection of speeches he delivered during his stint as the Governor. What makes it really interesting and riveting to read is his commentary on the economic and political context prevalent at that time. Sapiens: A Brief History of Humankind is a book by Yuval Noah Harari. It surveys the history of humankind from the evolution of archaic human species in the Stone Age up to the twenty-first century, focusing on our own species of human, Homo sapiens. Hit Refresh is written by the Microsoft CEO Satya Nadella. It tells the inside story of the company’s continuing transformation, while tracing his own journey from a childhood in India to leading some of the most significant changes of the digital era and offering his vision for the coming wave of intelligent technologies. I am sure I have missed out on many great ideas but I am also sure that if you try and go through even half of the books mentioned above, you would significantly improve not only your Verbal Ability but also your chances in the Group Discussion / Personal Interview stage. These books will open your mind and expand your horizons. Do not think of it as a task that you need to do to increase your chances at cracking CAT, but think of it as something that will make you a better person. I am going to just start my graduation . It will be my 1st year. I want to start CAT preparation from now itself. Suggest me some ways. Please call us at 9982352632 for more information. I scored 35% in class 10th and 61.18% in diploma. I am currently pursuing my graduation and I am scoring 7.5 cgpa. I want to go in a good college for an MBA. How can I compensate to get admission to a good MBA college?